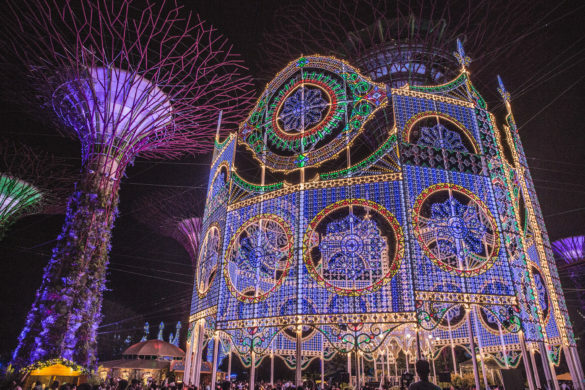 Restaurants in Raffles Place probably don’t raise an eyebrow to most – especially those who are looking for a quick, gratifying lunch, or an ostentatious restaurant for that meal to impress. Artemis Grill, undoubtedly insinuates the latter being perched on top of an awe-inspiring topview of CapitaGreen but it’s far from ostentatious. 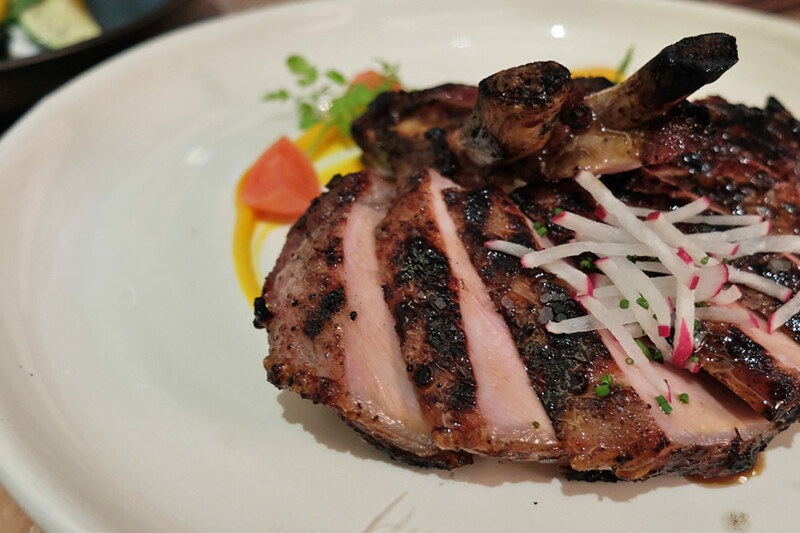 In fact, when it comes to Raffles Place restaurants, for the price point and the quality of food – it’s going to dish out more than just a gratifying business meal. 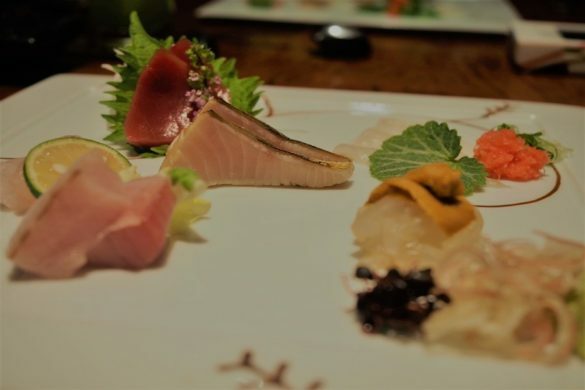 The extensive menu doesn’t reflect a lack in focus, but a carefully curated one where many signature dishes have been kept from replacement with feedback of regulars. And it’s always great to know restaurants care about the different palates (or allergies) of their customers, ranging from gluten-free to entirely vegan options. 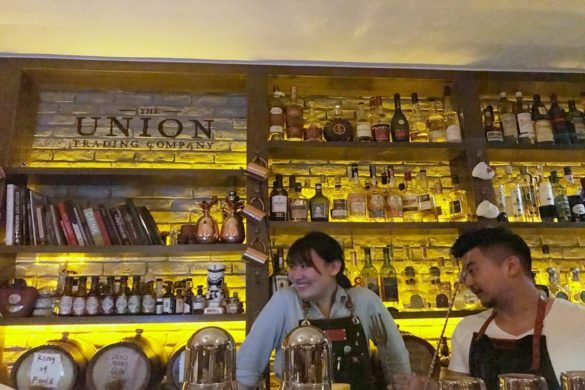 The likes of Lighthouse at One Fullerton commands a view of the promenade, and Smoke and Mirrors of the heritage district but on the other spectrum is Artemis Grill. 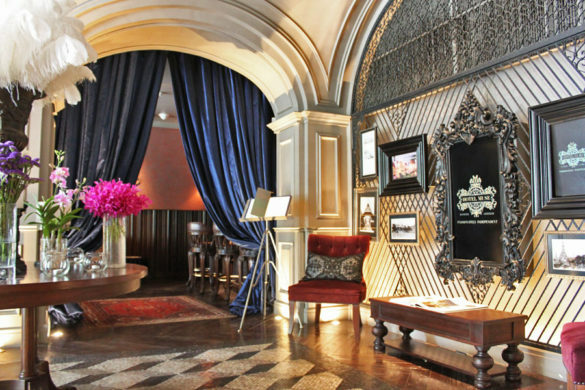 With a stellar list of gin-based cocktails that’s enough to make any gin fanatic squeal in delight, the inner view of the towering skyscrapers is one to behold. Featured from left to right is Iron Balls, a Bangkok-inspired cocktail by the Iron Fairies group, and Old Young’s 1829 which is served with an oyster leaf and lemon slices. 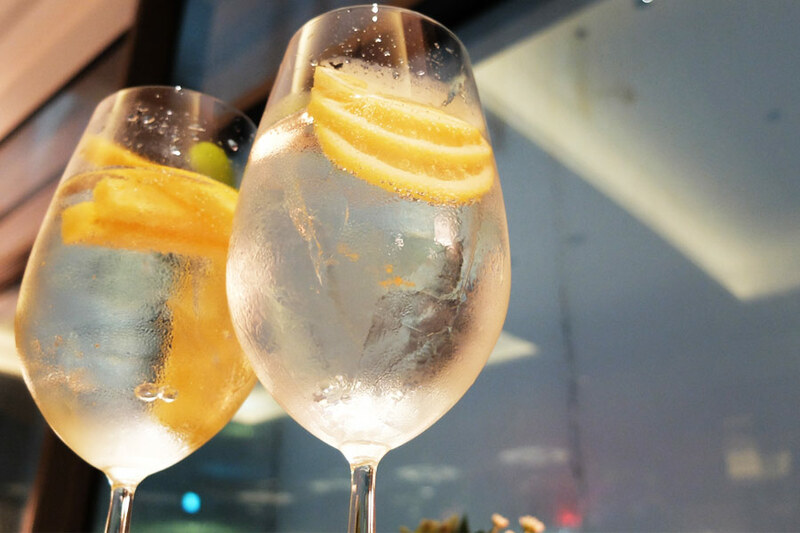 All G&Ts are at $22 each and the 14 on the menu have 14 different gins with uniquely sourced tonics from across the world. 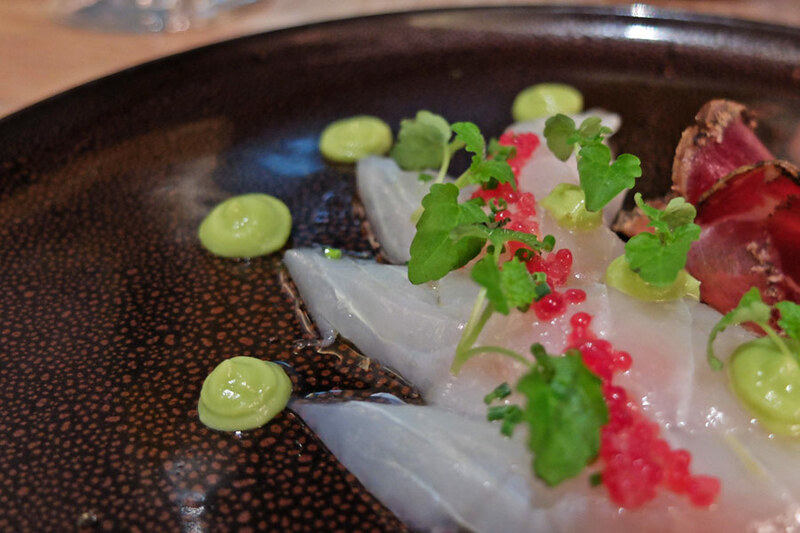 The Wild Seabass Sashimi was simply salted and doused with garnishing to make the flavours ‘pop’. Chef Fernando was humbly saying that what most chefs do is simply to introduce a twist – that of the jamon, to make it his own. The jamon swings the palate from a clean, ocean freshness to a rustic, savoury finish. 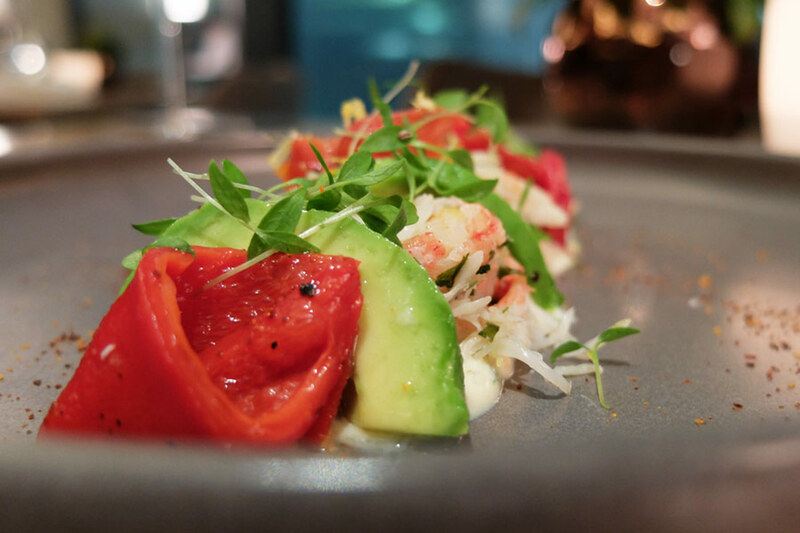 Seasoned Spanish pimentos with avocado and fresh Alaskan King Crab meat with a distinct brined flavour was next. A great medley of flavours that embodies the freshness of the sea, made creamy and smooth with the avocado slices. The next dish was a signature that patrons threaten their existence should they remove it from the menu. 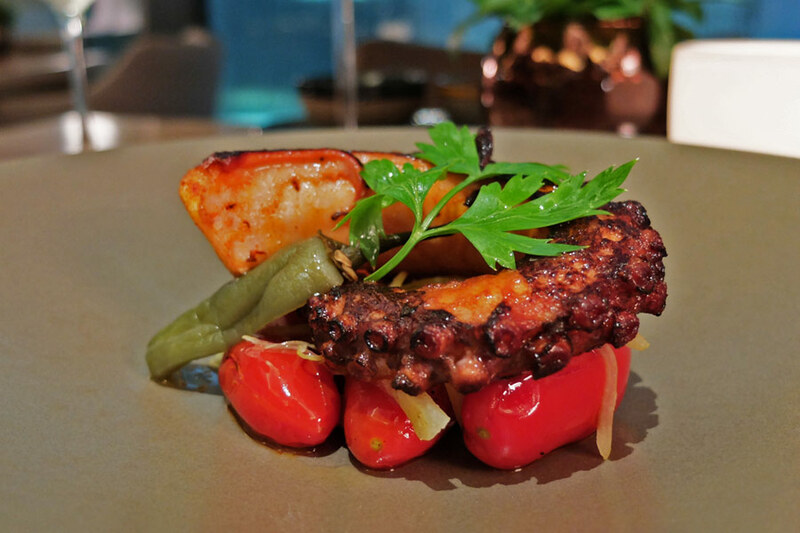 The Charred-grilled Spanish Octopus is cooked sous vide for 12 hours and flash grilled – creating a crispy, caramelized skin with a particular crunch on the suction pads. I can see why it’s such a crowd favourite. 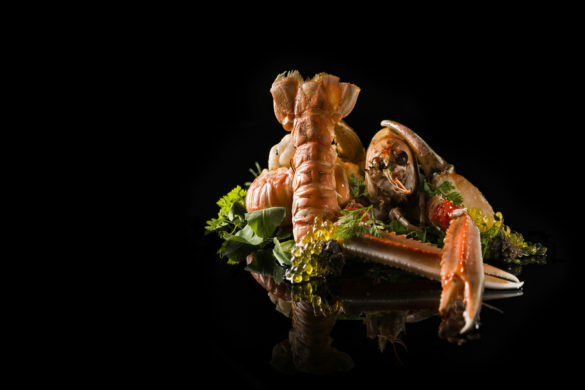 The texture through the entire leg is exquisite, including the balance of the salt and lemon zest especially when paired with an amazing Austrian white – a stellar recommendation by their sommelier. There’s a grey line between the appetisers and the mains. Because the portions were rather generous from dish to dish, which I thoroughly enjoyed, you really need to pace yourself with the ordering so you end up just right. The chef spares no expense in sourcing for quality produce. And for the price, you would more than pay for it. 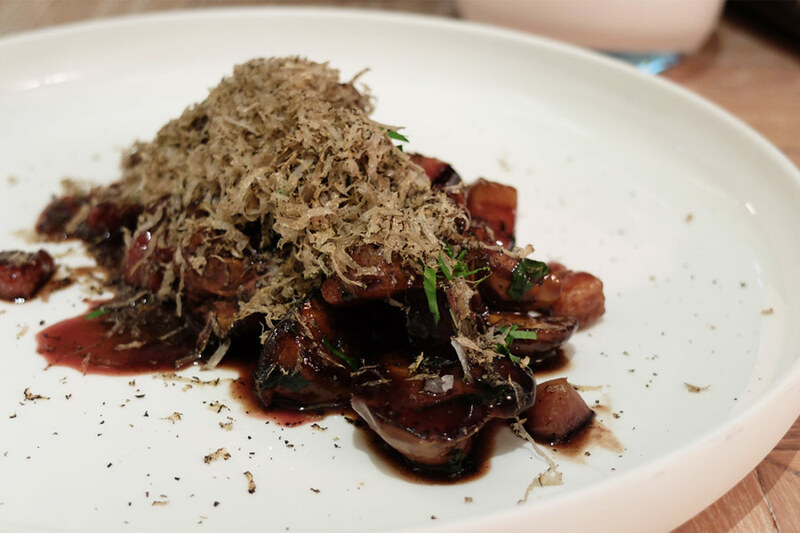 Take this French organic Chicken Liver and Black Truffle dish for instance, most of their quality cuts are imported directly from the countries of origin. You might be expecting an overall heavy plate but the liver is so creamy, allowing the light truffle shavings to meld into itit pieces of plum injects a tartness to cut the heaviness. I thought it could be salted a bit more though even though sea salt crystals were drizzled lightly over. Iberian pigs are reared mostly for curing into the magnificent Iberico hams that Spain is famous for but this particular dish had Iberian pigs reared specifically for the meat. The grill caramelizes the fat on the surface, melting the fat into the supple meat making it moist. And that char and crisp texture with sea salt crystals combined – is simply heaven. Unlike most restaurants where the sides are just simple accompaniments, Artemis Grill’s sides are elaborately laid out on their menu. And their servings are larger than that of most fine restaurants, so the trick is to incorporate the ordering of sides as an appetizer. 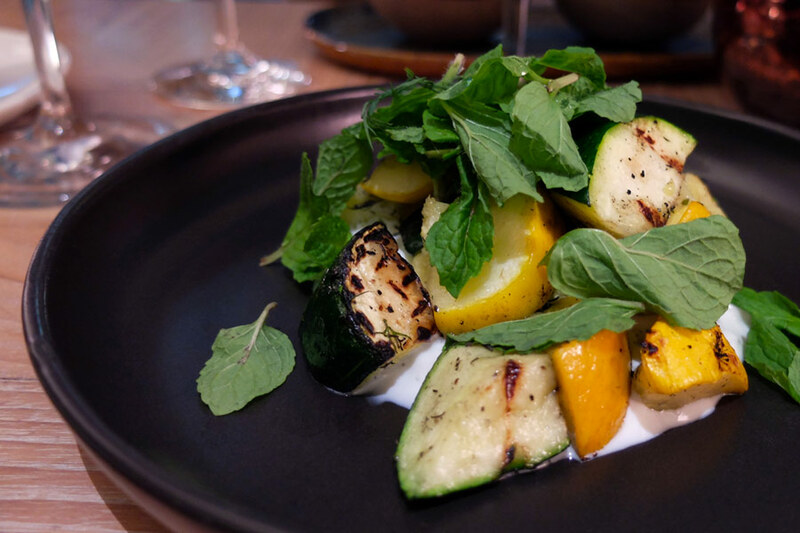 The Grilled Zucchini is a refreshing accompaniment, with dill and mint leaves on a yoghurt dressing similar to a Tzatziki dip. The Puy Lentils was the table favourite. 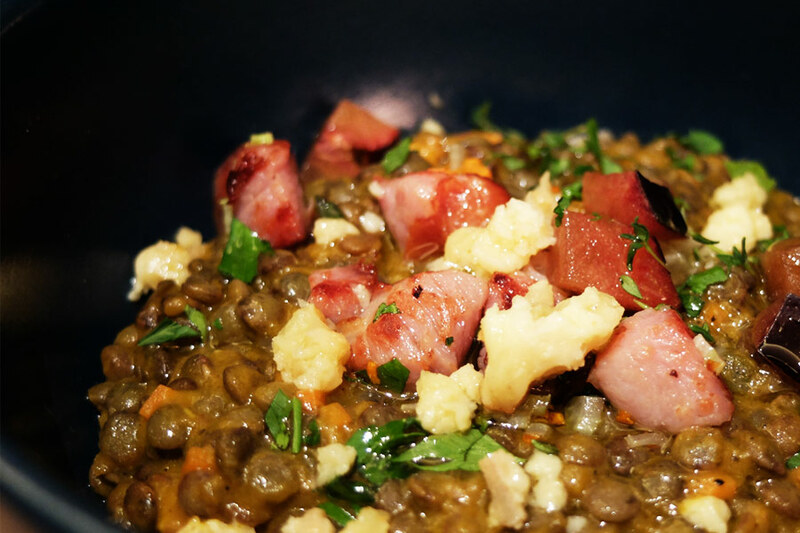 With chunks of bacon and blue cheese, stirred into perfectly cooked lentils – this hearty dish bursts with an umami flavour that is evened out with plum cubes. Save some room for this – you will not regret it. 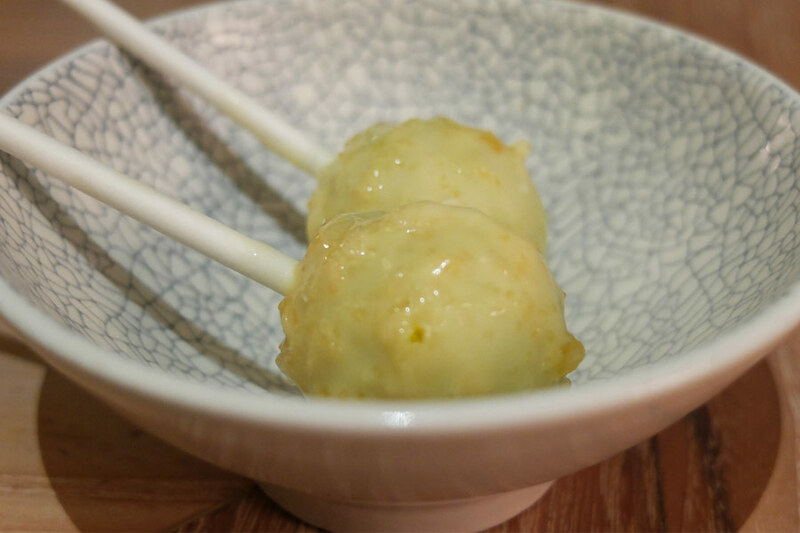 Prior to the desserts, a pair of lollies were served. Scented of bergamot with avocado and white chocolate citrus, the palate cleanser literally bursts with flavour with pop rocks inside. A list of 6 desserts line the separate menu with cheese, digestifs, coffee and tea. 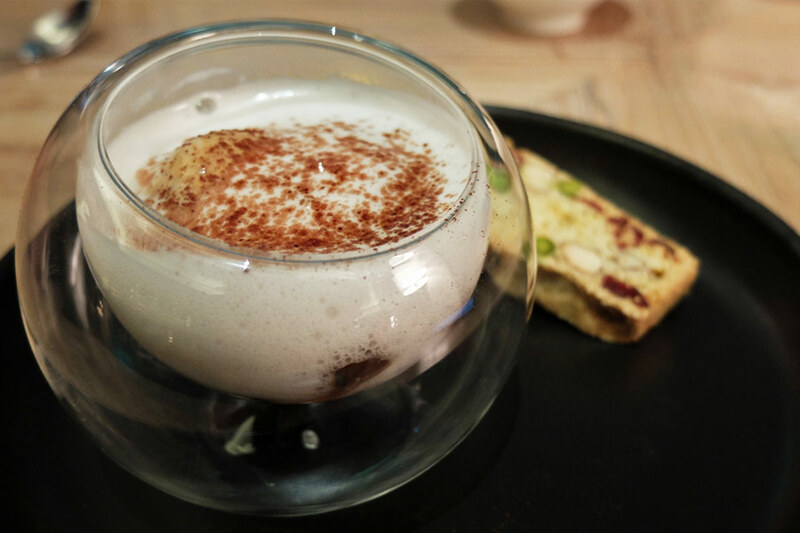 We chose the Artemis Tiramisu to close, being a tad too full at this stage. If you typically finish off a meal with coffee, skip that and take this instead. Coffee jelly pieces with amaretto jelly that packs an alcoholic punch are submerged under a coconut foam. Together with the pistachio biscotti which kinda replaces the lady fingers you’d expect, this tiramisu has to be one of my favourites ever. 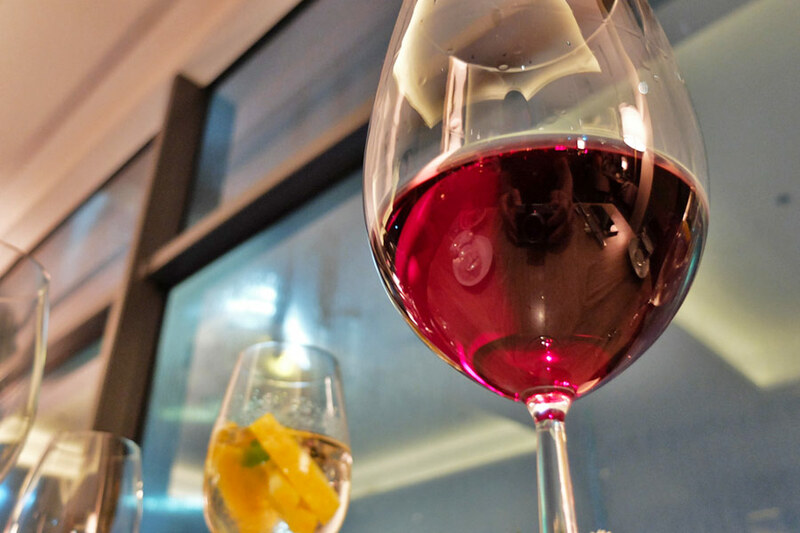 We had our meal paired with amazing Austrian wines, and the sommelier’s a big fan of boutique European wineries. There’s a single Slovenian Sauvignon Blanc that’s hard to miss on the menu, and it’s crisp, fruity, and cleans off the palate really well. Don’t miss that out if you’re doing mostly white meats, which Artemis Grill has a good range of. Verdict: My second meal there was just 2 weeks after for lunch which my lunch companions were all praises for. Everyone was pleased with my recommendations, and let’s just say the high quality is consistent with amazing service. 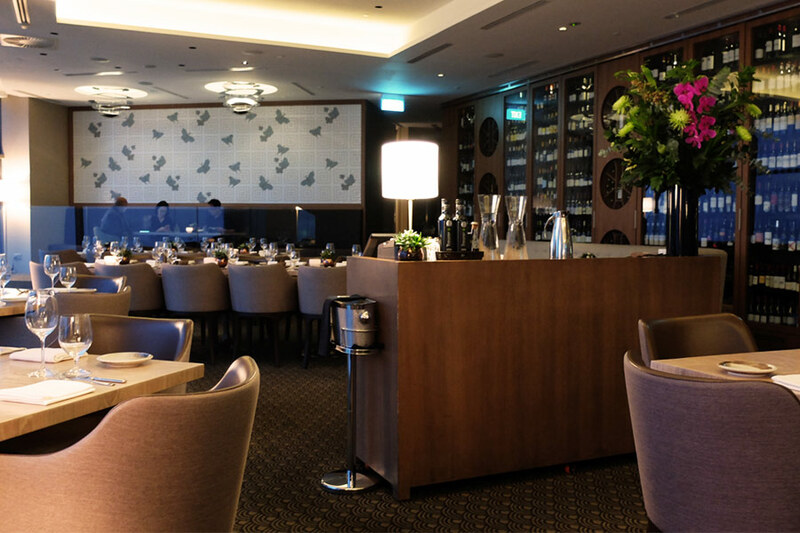 It’s great for a business lunch if you’re looking for one to impress within Raffles Place.